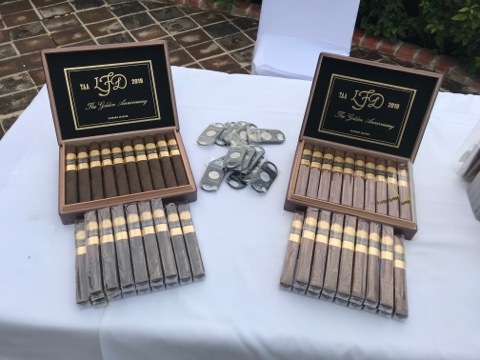 At the 2019 Tobacconists Association of America (TAA) Convention taking place at Casa de Campo, La Flor Dominicana launched a two cigar set known as the La Flor Dominicana TAA 50th Segunda Edición. The La Flor Dominicana TAA 50th Segunda Edición consists of two blends, a Nicaraguan Sun Grown and San Andres blend. As the name indicates, the Nicaraguan Sun Grown features a Nicaragua Sun Grown wrapper over a Dominican binder and filler. The filler includes Criollo 98 tobacco. While this was the same blend as the La Flor Dominicana TAA Golden Anniversary cigar, it comes in a new size – a 6 1/2 x 54 box-pressed toro. The San Andres version features the same binder and filler components, but utilizes a San Andres Natural wrapper. La Flor Dominicana expects the TAA 50th Segunda Edición cigars to ship in the late Fall. Typically TAA Exclusive Cigars are unveiled at the annual convention and made available to the approximately 80 retail members. The members come together at the annual convention and collectively make high volume purchases on cigars in exchange for exclusive promotions and pricing. Traditionally few companies participating in the TAA Exclusive Series make formal announcements on the products being offered to the TAA. The TAA also does not make formal announcements. 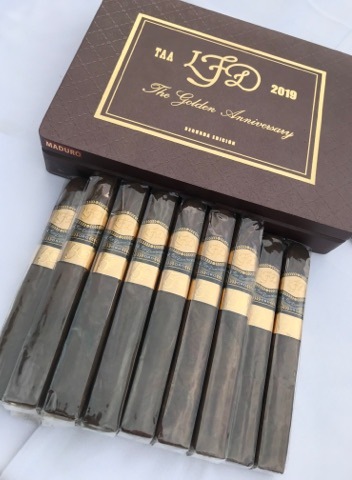 The La Flor Dominicana TAA 50th Segunda Edición joins Crowned Heads The Angel’s Anvil 2019, Eiroa Jamastran, E.P. Carrillo La Historia 656, La Palina Silver Label, Nat Sherman Timeless Limited Edition TAA Exclusive, Don Pepin Garcia Original TAA Exclusive Limited Edition 2019, Brick House Ciento Por Ciento, Tatuaje TAA 51st, and the AJ Fernandez New World Redondo as TAA releases Cigar Coop has been able to confirm thus far. General Cigar and Joya de Nicaragua will also be releasing TAA Exclusive cigars.